An approach that works with the body's natural physiology. The initial focus of our SetPoint Goal program is for the patient to reach a new set point by losing about 10% of his/her weight. This gradual and realistic weight loss aligns with the body's natural tendencies. At the same time, the patient uses a comprehensive set of resources — including our interactive tools, Knowledge Center and Learning Modules — to begin to build a sustainable structure for a healthier lifestyle. Using a variety of great-tasting, pre-measured products, SetPoint Goal eliminates the majority of eating decisions for the day. This enables the patient to concentrate on preparing one main meal: a flexible meal that begins to establish a pattern of healthy eating by working with fresh food. Perfecting the art of the healthy lifestyle. After reaching a new set point by losing 10% of the weight, the patient's next challenge is to maintain this new level for at least six months. This is the focus of the SetPoint Maintenance program: where the new eating and lifestyle behaviors become a real part of the patient's life. This is a transformation that isn't possible with the rigid, pre-packaged approach of other plans. In the kitchen, the patient starts to move away from pre-measured foods — and learns to incorporate even more fresh ingredients — while developing skills for healthy cooking. Getting even deeper into our online tools, Knowledge Center and Learning Modules, the patient also begins to achieve a greater sense of balance by managing important factors like the need for physical activity, stress management, and good sleep quality. Building a healthier relationship with food. Our food products are simply a means to an end. They're used to kick-start the patient's learning and lifestyle change process. The goal is actually for patients to use less and less of our products as time goes on — or maybe none at all. From the very beginning, SetPoint Health teaches patients how to work with real food. Our gourmet-quality Chef Sets™, created with award-winning chef, Ana Sortun, are a classic example. 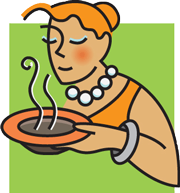 These Chef Sets enable patients to prepare a flavorful, nutritionally sound meal for two in about 30 minutes. In the process, they're developing skills and confidence in the kitchen that will benefit them for a lifetime. In addition, the patient has access to our searchable library of over 900 healthful, high-quality meals. The result of painstaking research, this library is another tool that helps the patient move from pre-measured foods to a freer and more educated approach to eating. Unlimited access to invaluable guidance. Lifestyle change is a difficult process, typified by a series of ups and downs. For this reason, SetPoint Health offers various elements to provide additional guidance and knowledge for your patients' weight control efforts. This includes unlimited access to our SetPoint Advisors, for as long as a patient participates in a SetPoint Health program. This continuum of guidance also includes unlimited access to our Knowledge Center: an extensive library of articles, white papers and information, written by SetPoint Health experts and other leading authorities in the field of weight management. In addition, a video-based Learning Module is emailed to the patient each week — also developed by our expert staff/panel. Each context-sensitive module is specifically chosen for the patient based on the personal and tracking information they've entered, and based on the recent areas of focus for their current interactive-tools activity. Physicians and other health professionals play a critical role as agents of change in motivating their patients to adopt healthy behaviors. Designed for practices that are not currently offering weight management services, our Member Platform provides the functionality needed to offer an effective weight management program with a modest level of provider interaction while working within the constraints of existing practice resources. The lack of effective weight management solutions offered as part of routine medical care. The physician serves as an important catalyst for patients adopting healthy behaviors, but there are significant obstacles to providing weight management services in most practices. Insufficient time to engage the patient in meaningful counseling. 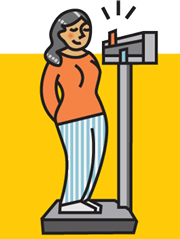 Inadequate resources to support the patient in the weight management process. Lack of training in the provision of weight management and lifestyle change counseling. Absence of practical weight management solutions capable of easy integration. It is not surprising, therefore, that many physicians are reluctant to bring up the topic of weight management with their patients for fear of opening a difficult conversation with no clear solution. 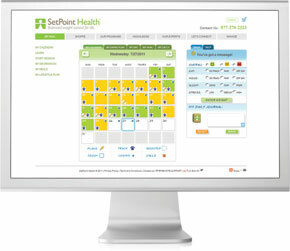 A turnkey weight management platform seamlessly integrated into your practice. The SetPoint Health Member Platform has been developed by health professionals who understand the obstacles and the need for practical solutions. The Member Platform allows providers to address the important issue of obesity in a meaningful way without a significant investment of their time and money. Opportunity to generate profits to support program implementation. Credible, evidence-based, approach for long-term weight management. Range of program options to meet varying needs of patients with support provided by SetPoint Health staff. Practice-branded portal allowing the practice to maintain visibility and control. 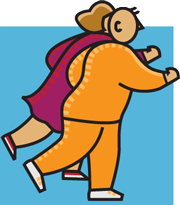 Ability to tailor the intensity of provider involvement in the weight management process. 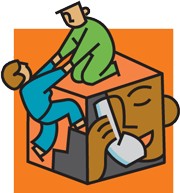 Innovative tools and resources for patient support and practice management.